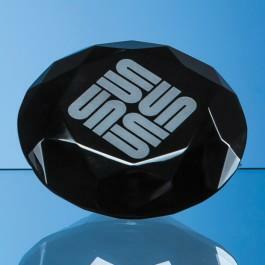 Diamond Paperweight in Onyx Black. 3 Sizes. A superb onyx black paperweight, resembling a fine cut diamond. is perfect for any and every occasion is perfect for many different occasioins. Perfect for corporate use, sporting achievement or a personal gift.